“In This Difficult Time for the United States, it’s Perhaps Well to Ask What kind of a Nation We Are…” Bobby Kennedy’s Words on the Assassination Of Dr. Martin Luther King Jr.
Fifty-one years ago yesterday a bullet killed Dr. Martin Luther King Jr. while he was in Memphis supporting Sanitation Workers who were being subjected to unsafe working conditions without the same rights, protections, pay, or benefits of white Sanitation workers. As always there were threats on King’s life and he knew that he was a target. The night before his assassination Dr. King spoke at Mason Temple the international headquarters of the Church of God in Christ, the largest historically Black denomination in the United States. That speech is now known as the “I have been to the mountaintop” speech. Dr. King had flown into Memphis earlier in the day, on a flight delayed by a bomb threat. King like many Civil Rights leaders of his day lived under the constant threat of physical violence, intimidation and assassination. After the heady days of the great march in Washington and the I Have a Dream speech and the award of the Nobel Prize his positions on social and economic justice and his opposition to the Vietnam War had made him a pariah of sorts, even in the Black community. He had place himself in the gunsights of his opponents as he pressed on in spite of the opposition. Life was precious to him, but he like many others understood that it could be cut short at any moment for simply speaking the truth about racial discrimination, prejudice and violence. King himself had been accosted at different times and spent time in jail for “breaking” laws that enforced and enabled institutions and individuals to discriminate against Blacks with no consequences whatsoever. He was called a radical, a Communist and anti-American by those that opposed any changes to the status quo. He knew that his life was always in danger. It was April 4th 1968. The United States was divided by the Vietnam War and numerous social crises. President Lyndon Johnson had just done the unthinkable, he had announced that he was withdrawing from his reelection bid. In many places despite the integration of the Armed Forces, Baseball, the repeal of many Jim Crow laws and the passage of the 1964 Voter’s Rights Act African Americans still felt the sting of individual and institutional racial prejudice. In Vietnam the effects of the Tet Offensive still lingered even as American cities burned. His speech at Mason Temple was almost prophetic in its message. The words of the thirty-nine year old Baptist Preacher from Atlanta echoed through the sanctuary of the church to the applause of those present even as a heavy spring thunderstorm rocked the city. 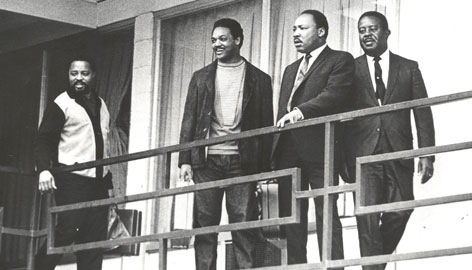 The following evening, King with a number of other Civil Rights leaders including Ralph Abernathy, Andrew Young, and Jessie Jackson were at the Lorraine Motel, where King often stayed. 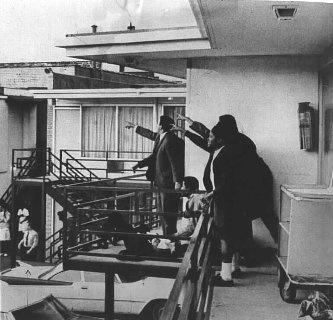 King was standing on the balcony outside of his room, Room 306 when at 6:01 PM he was cut down and mortally wounded by a single shot fired from a Remington 760 rifle. The bullet struck him in the right cheek, traveled down his spine and severed his jugular vein and several major arteries before it came to rest in his shoulder. He still had a heartbeat when the ambulance arrived and on his arrival at St Joseph’s Hospital. Efforts to revive him by opening his chest and attempting cardiac massage were unsuccessful and at 7:05 PM Dr King was pronounced dead. 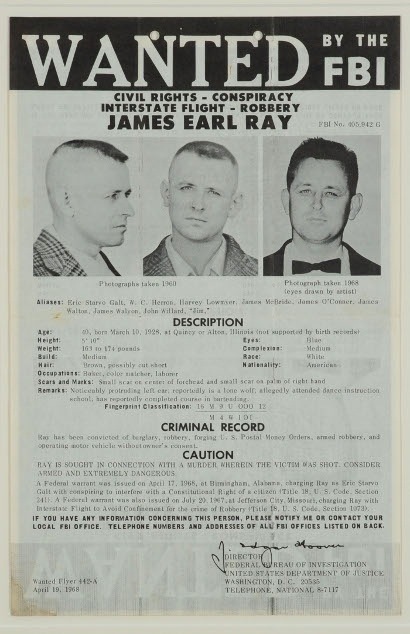 Witnesses reported a man named James Earl Ray fleeing the area after the shooting. The Remington rifle and a pair of binoculars with Ray’s fingerprints were found at the scene. Ray was apprehended at London’s Heathrow Airport two months later. Ray was tried and convicted of Dr King’s murder. He was sentenced to 99 years in prison and died in 1998. During the trial Ray recanted his confession, implicated an unknown man named “Raul” who he had supposedly met in Montreal as being involved and said that “he personally did not kill” Dr King hinting at a conspiracy. Ray plead guilty to avoid the death penalty. Other theories were postulated about the murder and Lloyd Jowers who owned a restaurant across from the Lorraine Motel claimed in a 1993 interview that the US Government and the Mafia were complicit in the killing, that Ray was a scapegoat and that Memphis Police Lieutenant Earl Clark was the shooter. Jowers’ story is disputed but it was believed by King’s widow Coretta Scott King. She filed a wrongful death lawsuit in which a jury found that Jowers and others including government agencies were guilty of the plot to kill Dr King on December 8th 1998. Though Jowers’ story was contradicted by much of his own testimony during the trial the results have caused a divide in who experts believe killed Dr King. As for the King family they reconciled with Ray before his death. Regardless of who killed Dr King the result was a shock to much of the nation and in many places riots broke out despite the pleadings of most Civil Rights leaders to continue in Dr King’s path of non-violence. 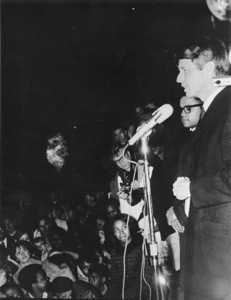 Senator Robert F Kennedy, then running for the Democratic Party nomination for President learned of Dr King’s shooting just before flying to Indianapolis for a campaign rally. On his arrival he learned of Dr King’s death. Warned by police that he could be in danger he made an impromptu speech from the back of a flat bed truck. The speech was short, under 5 minutes but its message is applicable even today. Two months later Kennedy was shot and mortally wounded by Sirhan Sirhan after winning the California Primary. 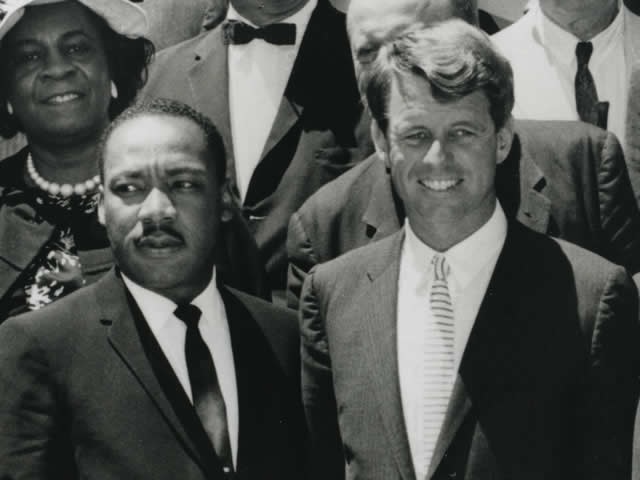 The loss of Dr King and later Senator Kennedy was profound. So tonight take the time to remember and pray that we all will be able to go to the mountain and see the promised land where in a more perfect Union we will heal the wounds that so divide our country. Today the rights that Dr. King and so many others fought for dating back to the days of Frederick Douglass are being rolled back at the local, state and Federal level. The administration of President Trump and Republican led statehouses have been working overtime to silence dissent, discredit opposition, and through unjust laws and policies upend the civil rights not only of Blacks, but other people of color, immigrants, women, LGBTQ people, and Muslims. These are dark days when it comes to civil rights and freedom. 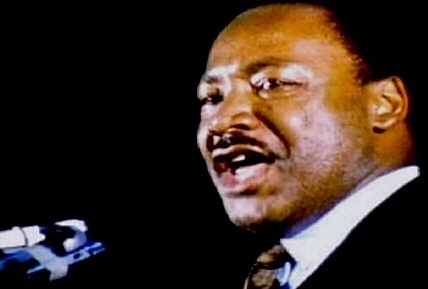 I think that we really need to ask and answer that question before all those things that Dr. King and Senator Kennedy fought for are taken away by leaders who do not respect the principles of the Declaration, the Constitution, or the institutions and laws they were elected or appointed to uphold.